Again, I was given the opportunity this time to invite you to discuss a little more about the Memority project. those of you who have not read my first article about the Memority project can visit the following page HERE. As a reminder that Memority offers a decentralized platform for cloud storage that involves anyone ordinary computer users around the world becoming a hoster for data storage. 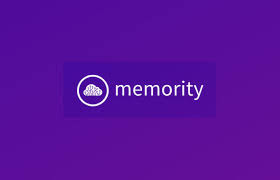 As a guarantee of security, Memority will make the system access to stored files only by using a private key like a crypto wallet. Here is the video presentations as well as their introductions. Ordinary computer users who share a portion of their hard drive memory, hereinafter referred to as an independent repository (hoster). In addition to encrypting every data that you upload, Memority uses a system where 10 copies that you upload will be made where integrity and authenticity are constantly monitored. If the number of copies of the file is insufficient or the copy has been faked, then a new copy of the original file will be done automatically on the new hoster. Related to the process of verifying availability, authenticity, and file recovery can only be done by the owner of the file independently. Here it is clear how Memority is trying to create a system that will provide security for its users. This is something new in the online data security system. My simple analysis if this system is run means that there will be an opportunity to generate new income by becoming a hoster. Of course, every user of the Memority platform that stores files will be charged a fee (details can be seen in the whitepaper). In addition they also provided a number of tokens provided to miners with a Proof of Authority system and some unique regulatory notes and in my opinion it is very fair for anyone interested in mining their MMR tokens. For the record, even though their ICO is not finished yet, they have already got customers from a new news portal, Undelete News. For those of you who are interested in this project and want to find out more about it, I suggest visiting the link below. May be useful.